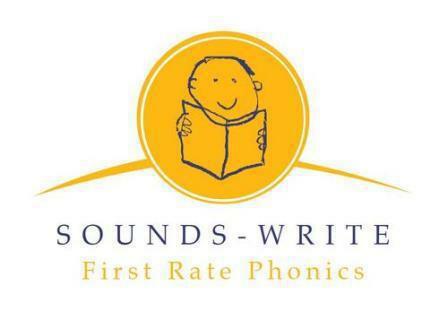 Sounds-write teaches the children to read, write & spell using the sounds of language. It is a sequenced, incremental stepped program teaching how the 44 sounds in the English language can be spelt. Firstly the program focuses on the simple (one sound, one spelling) CVC words (consonant, vowel, consonant) e.g. sat, pan, cat. It then moves onto the concept of sounds 'f' 'l' 's' and 'z' can be spelt with two letter spellings 'ff' 'll' 'ss' and 'zz'. It then moves through one-syllable words vcc, cvcc, ccvc, ccvcc and cccvc words e.g. 'elf' 'hand', 'swim' 'trust' and 'scrub'. Then the children learn about 'two letters - one sound' through the most common consonant two letter spellings 'sh' 'ch' 'th' in words such as 'shop' 'chimp' and 'thin'. Finally, two, three and four letter spellings of the vowels are introduced and pupils are taught how to read and spell polysyllabic words, starting with simpler words (such as 'bedbug') and gradually moving to the more complex (such as 'mathematical').